You’ve likely been reading about the energies pouring across Earth at this time, and the symptoms they are causing to your physical and etheric bodies. Are you feeling the energies and the changes they bring? Perhaps, you’ve read other articles that guide you through the processing of these energies – these light frequencies, into your consciousness. Still, many of you may not be aware of the grand dynamic at play in our galaxy that ushers in these changes into our time and space. Those words were written in 1995… and now, we are deep into it. We’re surging through it, like a high platform diver rips though the water. Each person will handle these changes in a different way, but the important thing is allowance and acceptance with gratitude. Don’t fight against the tide. Trust you intuition. Whatever you are being shown, is a part of your cosmic story. As the energies shift, you will find that going with the flow of what you are being shown, will reduce your symptoms and the changes themselves will come more quickly. 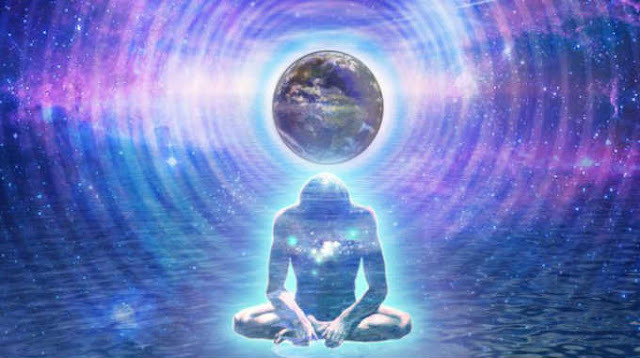 As you absorb and translate the information embedded in these energies, you may discover it is possible for your consciousness to jump back and forth between our 3D lives and the 5D existence that we are hurtling toward. This feeling or knowing can be especially powerful wherever you may have a safe meditation space. Stop and feel it… the veil between dimensions is very thin at this time. Your dreams, wants, needs and goals… the destiny that you co-create has already occurred in the higher dimensions, where there is no time. Do you believe in reincarnation? From that higher perspective, it may be possible to view your multiple lifetimes. Imagine yourself on a 5th dimensional platform, peering down on a 3D time line. Try to you perceive prior or future lifetimes, across that linear timeline. Then realize that those lives can be viewed in any order you choose. Is it possible that reincarnation itself is not linear and that your soul can jump into a selected lifetime at any point in the 3D time line, simply based on what your soul wishes to learn? Photon belt energies = light = information = karmic revelations. Your personal revelations will continue to pour in with these light frequencies as we accelerate to a whole new level of understanding. Allow and accept with gratitude. Just don’t worry about time. The universe will provide, in the manner that suits your highest good.